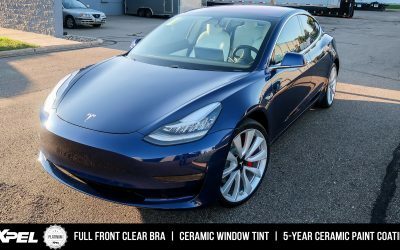 We had the opportunity to install clear bra on this Tesla Model 3, as well as high-heat rejection window tint! 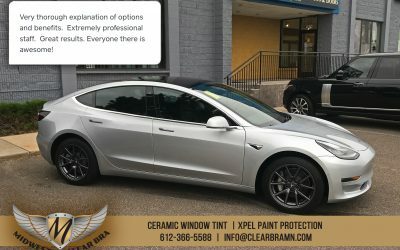 Changing the look of your car completely can be done with the magic of XPEL Stealth Paint Protection film. Give your glossy car the matte effect while keeping it protected with PPF at the same time. 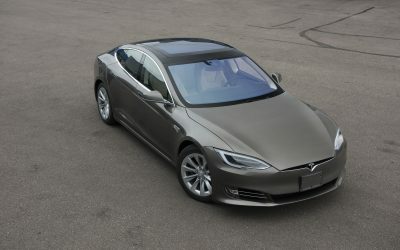 Just because its electric doesn't mean its safe from road debris. 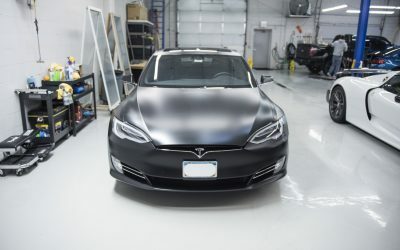 Lets get your Tesla Model S P90 or whatever model you have protected with Midwest Clear Bra's 3M Pro Series paint protection film.